LIM's direct shipping iron ore (DSO) projects are located in a remote area of western Labrador and northeastern Quebec, centred around the town of Schefferville, Quebec. Our mining operations involve the extraction of iron ore in an area of previous iron ore mining and are carried out using conventional open pit mining methods. Ore is beneficiated by crushing, screening and/or washing and no chemicals are used in the beneficiation process. LIM's activities are subject to extensive national, provincial and local laws and regulations governing environmental protection and employee health and safety. Accordingly, LIM has acquired all major permits required to operate the James and Redmond mines and beneficiation facilities at Silver Yards. In addition, LIM has received all major permits for future mining of the Houston 1 and 2 Deposits, as well as the proposed processing facility at Houston. To date, LIM has received regulatory approvals for over 125 mine construction and operation permits including the receipt of all required Mining and Surface Leases issued under the Mining Act (Newfoundland and Labrador), and the approval and release of the project under the Environmental Protection Act (Newfoundland and Labrador) and the Environmental Assessment Act (Canada). Legislation principally applicable to the approvals process by the Government of Canada includes (i) the Environmental Assessment Act, the Environmental Protection Act and the Species at Risk Act all administered by Environment Canada; (ii) the Fisheries Act administered by Fisheries and Oceans Canada; and (iii) the Navigable Waters Protection Act and the Transportation of Dangerous Goods Act administered by Transport Canada. Legislation principally applicable to the approvals process by the Government of Newfoundland and Labrador includes (i) the Environmental Protection Act, the Water Resources Act and the Endangered Species Act administered by the Department of Environment and Conservation; (ii) the Mining Act and the Mineral Act administered by the Department of Natural Resources; and (iii) the Occupational Health & Safety Act and the Workplace Health, Safety and Compensation Act administered by the Department of Government Services. 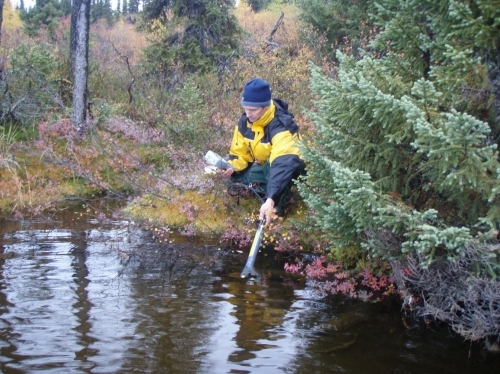 Throughout the environmental assessment process, starting in 2005, LIM has been consulting with the Elders of the various nearby Aboriginal communities, collecting traditional knowledge and sharing information about its proposed activities as well as the results of environmental baseline studies conducted in the area. The information that the Elders have shared with LIM was included in the Environmental Impact Statement to document the existing environment and was also used in the effects assessment. The environmental baseline programs were expanded in 2008 to meet the scope of the proposed development and included detailed assessments of the aquatic and terrestrial environment, hydrology and groundwater, geochemistry and socio-economic components. Ongoing meetings with the Elders are conducted as part of the environmental monitoring program for mine operations. Thus far, LIM has conducted three major environmental assessments for its current and proposed mining operations. The James and Redmond Mines were assessed in the Schefferville Area Iron Ore Mine (Western Labrador) Environmental Impact Statement (EIS), which was submitted to the Federal and Provincial regulators in August 2009 and approved in November 2009. This included the open pits, rail spur, access roads, mine accommodation camp and the Silver Yards beneficiation plant. Currently, the James and Redmond Mines and Silver Yards beneficiation plant are in operation and in compliance with all applicable permits and approvals. LIM's major expansion plans for future years include the development of the Stage 2 South Central Zone Houston Project. The Houston Project is situated in Labrador about 15 km south of LIM's James mine and Silver Yards processing facility. When in full production, the Houston Project is expected to produce about 2.5 million tonnes of iron ore annually. In March 2012, LIM received approval from both the Federal and Provincial environmental assessment for Phase 1 of the Houston 1 and 2 Mining Project. 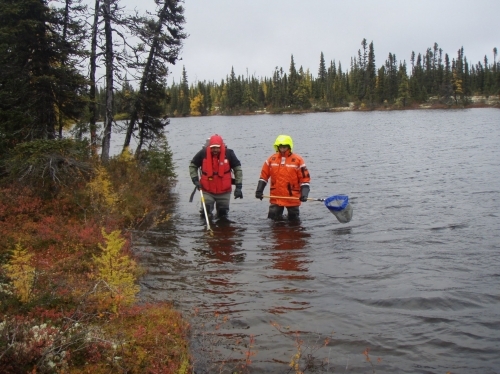 Environmental baseline data collection for the Project was initiated in 2008 as part of the overall Schefferville Area Iron Ore Project EIS. An enhanced Environmental Registration Document for the Houston 1 and 2 Mining Project, which also included a haul road and railway siding, was submitted under both the Federal and Provincial environmental assessment processes in December 2011. The Canadian Environmental Assessment Agency (CEAA) determined that the Project was not subject to the Canadian Environmental Assessment Act and no Federal environmental assessment was required. On March 26, 2012, the Newfoundland and Labrador Minister of Environment and Conservation informed LIM that, in accordance with the Environmental Protection Act, the Houston 1 and 2 Mining Project was released from further environmental assessment, subject to a number of conditions. The third major environmental assessment was recently completed by LIM for Phase 2 of the Houston 1 and 2 Mining Project. Phase 2 includes the Houston wet beneficiation plant, which is expected to be constructed two to three years following the construction of the Houston 1 and 2 Mining Project. The beneficiation plant is a wet process plant similar to the existing Silver Yards beneficiation plant, incorporating crushing, screening, washing and magnetic separation. In early February 2013, LIM filed an Environmental Registration document with the Government of Newfoundland and Labrador and a Project Description document with CEAA. In April 2013, CEAA notified LIM that a Federal Environmental Assessment was not required and in May 2013, the Newfoundland and Labrador Minister of Environment and Conservation released the Phase 2 Houston 1 and 2 Project from the provincial environmental assessment process, subject to conditions. When in operation, the wet plant is expected to upgrade lower grade ore (50% to 59% Fe) into saleable sinter and lump product.